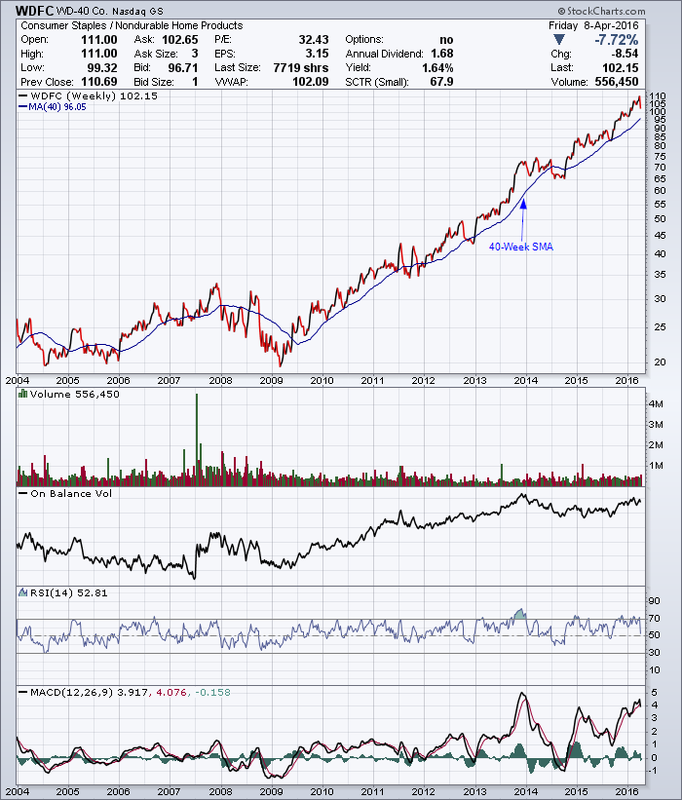 I published the long-term chart for WD-40 as an example of identifying the major uptrend and riding the trend. A simple strategy of staying in the trade above the 40-week simple moving average was a simple winning strategy: enter above 40-week sma and exit below 40-week sma. The consumer staples sector was a winning sector over the past 6 years. This entry was posted in Stocks and tagged chart, moving average, trend, WD-40 on April 9, 2016 by Trader.